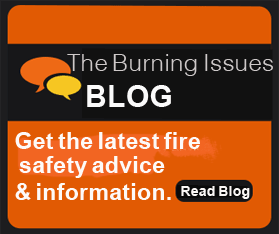 Kitchens are an obvious "hot spot" for fire risk. Rohen sells, installs, inspects, and repairs fire suppression systems for Greater Toronto Area restaurants and other facilities with large-capacity kitchens. Fire suppression is a mandatory issue for kitchen safety, and it is critical for property owners and kitchen staff to understand what type of system you have and how to maintain it. 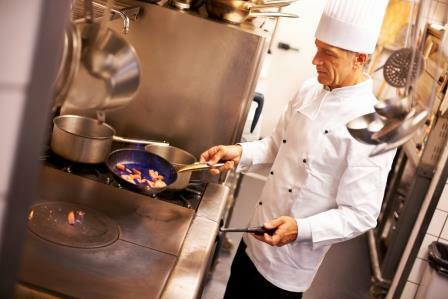 In order to ensure maximum safety and compliance, kitchen fire suppression systems must be inspected at monthly, quarterly, semi-annual, and annual intervals. Rohen can conduct these inspections for you at times that are least disruptive to your business. Sleep well at night with the assurance that your fire suppression system is in top working order to protect your facility from threat of non-compliance, property damage, injury, and business interruptions. Pre-tested wet chemical fire suppression systems to meet NFPA-17, UL-300, and NFPA-96 standards. Pre-tested dry chemical fire suppression systems to meet NFPA-17 and NFPA-96 standards. Custom-designed to balance your needs with regional fire code and the manufacturers' specs. For industrial frying and food production facilities, engineered carbon dioxide fire suppression systems are available. Repairs of existing systems are available. Upgrades from dry chemical systems are available. Inspection times with minimal interruption to your business. Fire suppression system maintenance, testing & education. Learn more about kitchen fire suppression systems in our blog post "Tips to Ensure Your Restaurant Fire Suppression System is Up to Code."